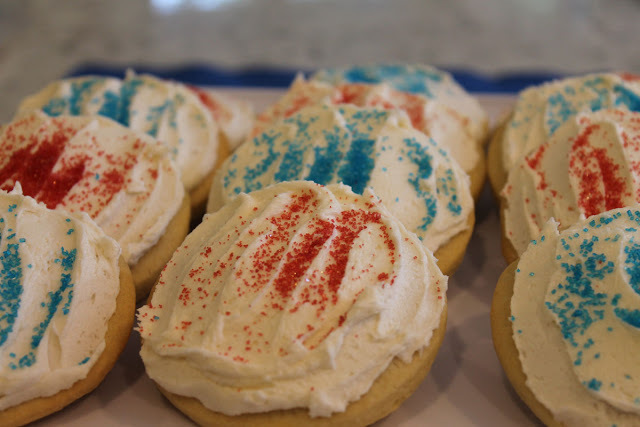 One of my all-time favorite cookie recipes is my sugar cookie with buttercream frosting recipe. 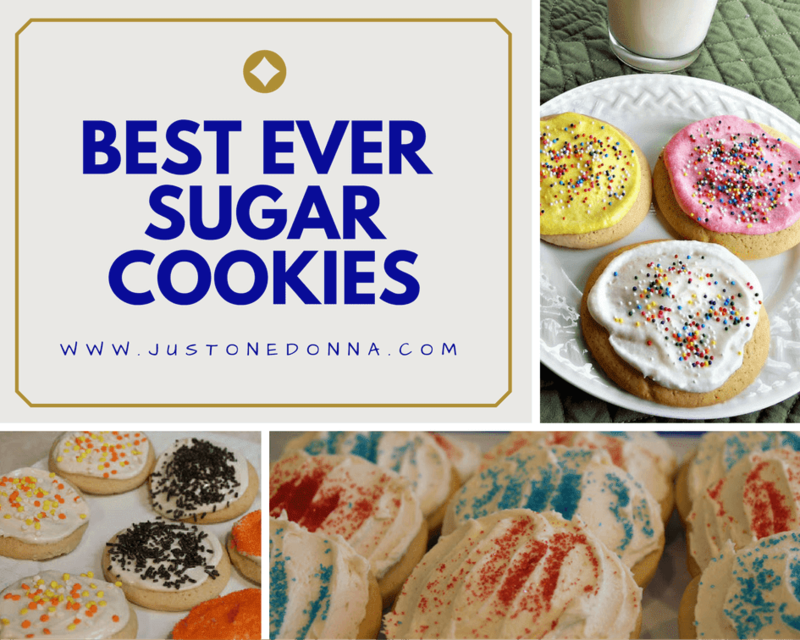 This recipe makes a delicious sugar cookie that is sweet, but not too sweet. The cookies have a tender, cake-like texture that pairs perfectly with a buttercream frosting. They are a nice alternative to those famous buttercream topped sugar cookies sold by Cheryl's Cookies. 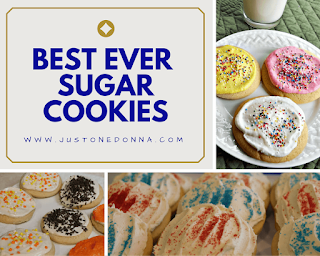 While there may be very good reasons to order cookies online, it is easy to make attractive, colorful and delicious sugar cookies with buttercream frosting at home. If you are looking for a copycat Cheryl's Cookie recipe you'll want to try these. I think these cookies are better, and that's why I call them the Best Ever Sugar Cookies. 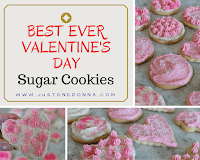 All you need to make these Best Ever Sugar Cookies is this great sugar cookie recipe and a few simple ingredients that you may already have in your pantry. This is also a perfect recipe to make with your children or grandchildren. Everyone can have some fun with the decorating. In a large bowl, mix the butter, sugar and vanilla in the bowl of your electric mixer until light and fluffy. Add the eggs, one at a time, beating after each addition. Combine the flour, baking powder, baking soda, and salt. Gradually stir the flour mixture into butter mixture until well blended. Divide the dough into two equal parts. Form each into a disk and wrap with plastic wrap. Chill the dough for two hours. Preheat the oven to 400 degrees F. On a lightly floured surface, roll out the dough to 1/4 inch thickness. Cut into desired shapes using cookie cutters. Place cookies 2 inches apart onto ungreased cookie sheets. Bake for 6 to 8 minutes in the preheated oven. The size of your cookies may impact your cooking time, so be sure to check frequently. The cookies should be golden but not browned. Remove cookies from pan and cool completely before frosting. Using an electric mixer, beat the butter until light and fluffy. Add the confectioners’ sugar alternately with the milk, about one-third in each addition. You may not need to add all the milk to get the spreading consistency you need. Add the vanilla extract and continue beating until light and fluffy. Go ahead and lick the beaters. Just a taste is OK! Use separate bowls for each color of frosting you will be using for decorating your cookies. Be careful adding your coloring. A little goes a very long way. Set up an assembly line. First, put dollops of frosting on the cookies and then spread the frosting using an offset spatula. These cookies will freeze nicely as well. Just be sure to let the frosting set before packaging for gift giving or freezing. Make some today and put them in your freezer for later. You'll be happy you did! 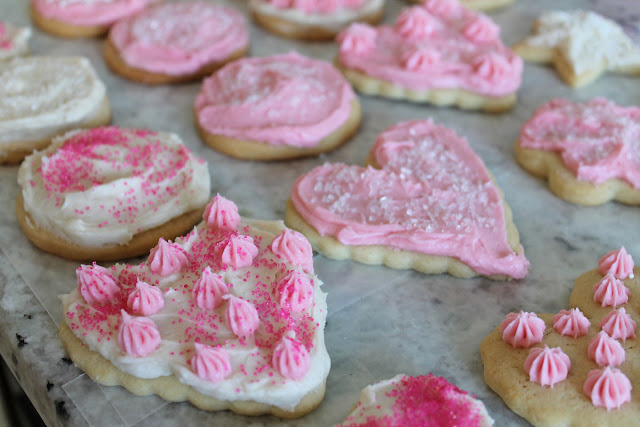 These sugar cookies also make a yummy foundation for royal icing. 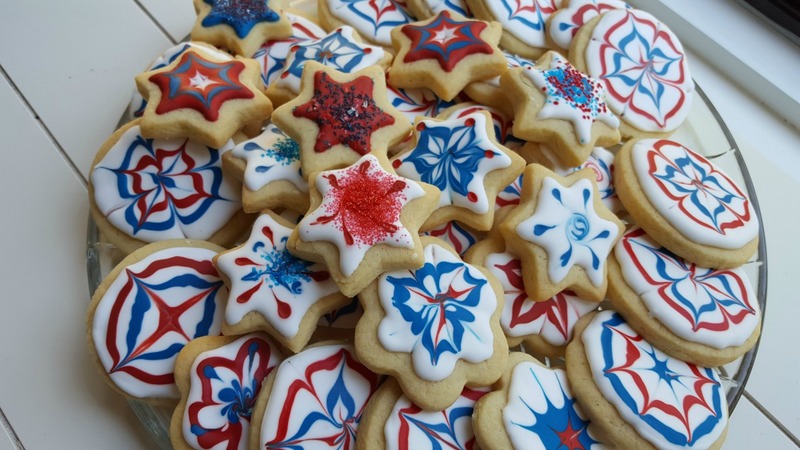 Here is a picture of my Fourth of July Fireworks Sugar cookies. Before you go...Join the Just One Donna Community for exclusive content or sign up to be notified of new blog posts through an RSS feeder in the sidebar. I thank you for sharing this post on Facebook, Twitter, Pinterest and Yummly. Thank you for this recipe. I am looking forward to trying it. I just made these for the first time and it was great! I admit I changed things up a little: I added an extra egg yolk to the cookie dough and made the buttercream into chocolate. Still, so good! Thank you! This is such a great recipe that it stands up to tweaking here and there. I used it as the base to my lemon cookies recipe. http://www.justonedonna.com/2016/08/frosted-lemon-sugar-cookie-recipe.html You should try making these without adding extra egg yolk. I'd be surprised if you don't like the cookies as originally written.